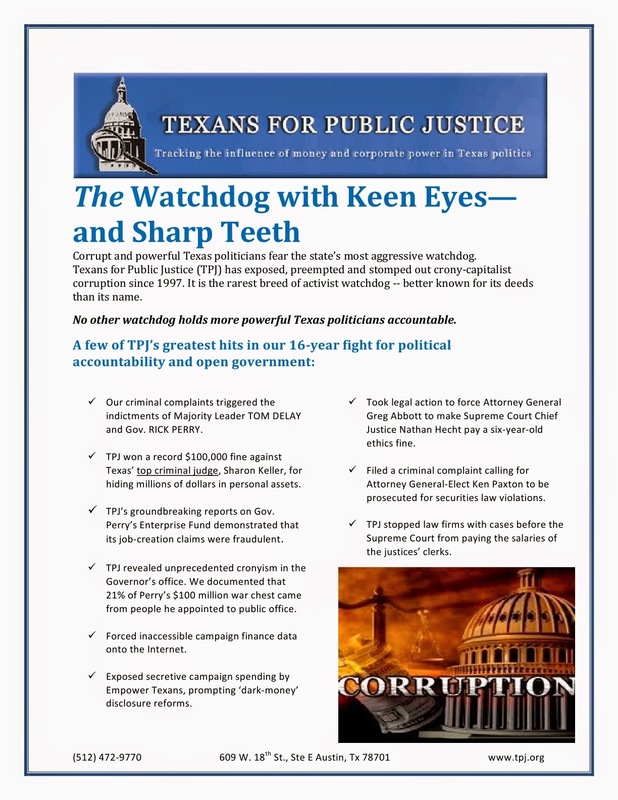 Texans For Public Justice: Support TPJ. Your Donation will be Matched!! We hope you can support TPJ with an end-of-year contribution. Your contribution will be matched through a generous grant from the Kirk Mitchell Foundation. Please take a moment to review highlights of TPJ's 16-years of fighting against political corruption and for open government. Click over to our SUPPORT TPJ PAGE to make your contribution.